This article first appeared in Enterprise, The Edge Malaysia Weekly, on March 11, 2019 - March 17, 2019. There is a trend in the US that worries Datuk Seri Ivan Teh, group CEO of Fusionex International. Many retail outlets are closing down, resulting in extra capacity in the retail space. But at the same time, there is a shortage of warehouse space. The situation highlights shoppers’ shifting preference for e-commerce. “It is the same in China. What does that tell you? 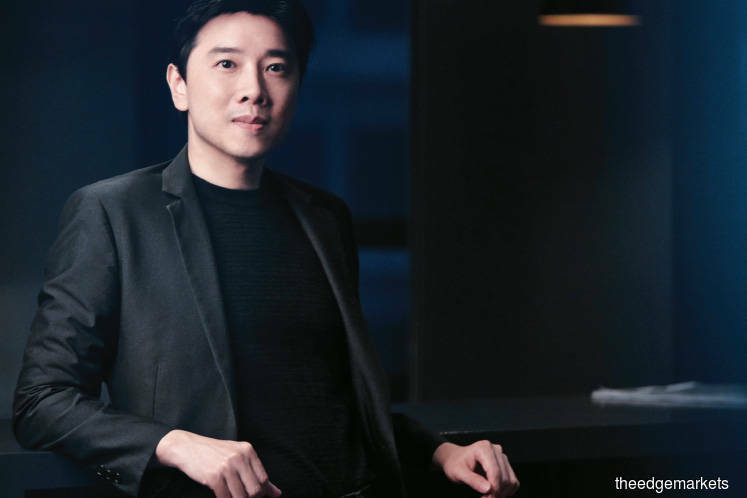 It is a clear sign that the world is moving towards e-commerce,” says Teh. He should know. The company he runs is a provider of software solutions, specialising in analytics and big data, to global clients. That means small and medium enterprises (SMEs) need to hop on the bandwagon to compete and stay relevant. Gone are the days when they could focus on opening new stores and stocking up on inventory without first analysing customer demand, says Teh. “In this whole evolution, data is becoming more important. It is the new currency. We need to know what our customers want, what they are buying, whether they are dropping out and if they are local,” he adds. The Malaysia Digital Economy Corp has expressed concern over the low level of big data analytics adoption among SMEs, many of which may think it is a costly endeavour. But it is important for these businesses to launch their digital journey as they form the backbone of the economy. “If SMEs do not succeed [in adopting digitalisation] and fade away, there will be big problems, not only for them but also the economy. That is our main worry. We have to level the playing field for them,” says Teh. Last August, he launched SME FORYOU — a digitalisation platform aimed at SMEs — to fill that gap. It is a diversion from Fusionex’s usual clients, which are mostly large corporations, such as Intel, IKEA, BMW and Shell. Teh, who worked for almost two decades in IT and consulting firms such as Hewlett-Packard and Accenture, set up Fusionex in 2012. It was listed on the London Stock Exchange’s AIM in 2012, but was taken private in 2017 due to concerns that it was undervalued by the market. SMEs face a couple of challenges when going digital, Teh observes. One is access to financing from banks, which want evidence of a track record. The other is a lack of access to the right technology and human resources. “I think SMEs are sometimes demoralised. They say, ‘If I phase out, I phase out.’ I feel a bit sad when they have a great product or business. That model used to work 10 years ago. But all you need is help to transition from the physical to the digital world. You will see revenue coming in while you are sleeping or eating because e-commerce allows you to do so,” says Teh. In the past, businesses may have been able to master everything from manufacturing to marketing to distribution of their products. But some of these are more complicated now, especially for SMEs that may not have enough resources, he says. The SME FORYOU platform connects SMEs with a multitude of players, including e-commerce marketplaces and logistics, transport and warehouse players in 15 countries. This allows every step to be done digitally, from placing orders to making payments to sending goods. The first step Fusionex takes to help SMEs fast track their sales is provide them with an e-store, which is essentially an online brand presence. This gives them direct access to customers worldwide and can be propagated to online marketplaces such as Lazada and Amazon. “Why don’t you just work with Lazada or Alibaba? That is not the best strategy because your brand could be drowned when there are more than 200 million brands out there. How will a consumer find your brand unless you spend millions of dollars doing digital marketing on the site?” says Teh. That is why Fusionex promotes an omnichannel approach, where the e-store is marketed through search engine optimisation while the products are made available in other marketplaces. Once the SMEs start getting online orders, the company helps them to facilitate the logistics of delivery so they do not have to invest in their own fleet of trucks or liaise with a transport company. “The lorry or truck companies have their online systems or we will give them one. When your order comes in, you just fire up the order in the system and the logistics company will accept it. You do things on-demand,” says Teh. The platform also facilitates the setup of online payment gateways such as Maybank2u, CIMB Clicks, PayPal and Alipay. For SMEs that want to export, Fusionex connects them to warehouses abroad, integrates their systems with airports and seaports and deal with the necessary procedures regarding permits and declarations. “Today, we are connected to the Middle East, Hong Kong, China and Southeast Asia. We are going to further connect to Europe and the US as well. We already have a presence in those places, but we are expanding. The challenge is that some countries do not have online mechanisms. So, we need to educate them as well. But things are moving very quickly,” says Teh. Fusionex provides the e-services platform for the Digital Free Trade Zone (DFTZ). The SME FORYOU platform is similar to the DFTZ, except that it is more targeted at the local market. “SME FORYOU can also go cross-border. If you want to do that, we have to connect to the DFTZ channel because that includes things like permits and connections to seaports and airports. It also requires cross-border payments and currency conversions,” says Teh. He notes that not all SMEs are export-ready as this involves their manufacturing capacity as well as certifications (to be able to export to certain markets). Naturally, data collection will be part and parcel of the offering. “Some companies have what we call silo data, spaghetti data or spider web data. It is placed in a hard disk, laptop or on paper hidden in some cabinet. Normally, we advise merchants to try and retrieve that data, as incomplete as it may be, so that they have a baseline to start with. We can help migrate it to a digital form,” says Teh. Going digital does not just apply to business-to-consumer SMEs on popular online marketplaces. Business-to-business (B2B) enterprises can benefit from e-commerce by saving the time and cost of visiting trade shows to find distributors and making calls to source for supplies. With the online platform, SMEs can monitor each other’s supply levels in real time and place orders at any time of the day. “Today, B2B can be done seamlessly because every supply and demand can be matched. I could have 20 partners in 20 countries without having to be there physically if I can establish a bridge between the systems,” says Teh. The SME FORYOU platform charges users on a subscription basis. The cost depends on many factors, but the most basic plan can start from as low as RM50 per month, he says. But this is just the entry level. Teh is confident that once customers have an online presence, they will quickly see that it makes sense to upgrade to an online presence with artificial intelligence (AI) capabilities. For instance, an AI-enabled system could automatically increase prices when supply is low and vice versa.